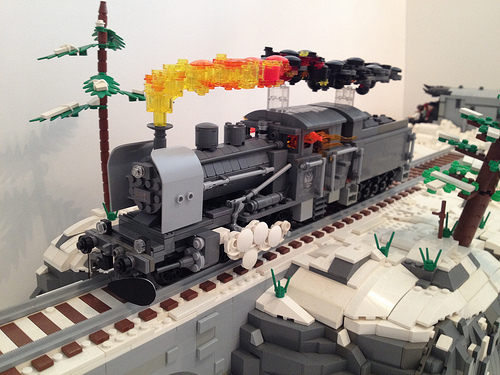 Caleb Randolph has taken train dioramas to the next level with “Anastasia”: Runaway Train. The detailed, raised mountain platform and use of classic train tracks to give a continuous edge is especially masterful. And that’s ignoring the excellent snow, steam, and, of course, the locomotive itself. Brilliant work.